I’m not generally one for new years resolutions, I am more of a creature of continuous improvement, but this year I promised David, my fiance, that I would slow down. 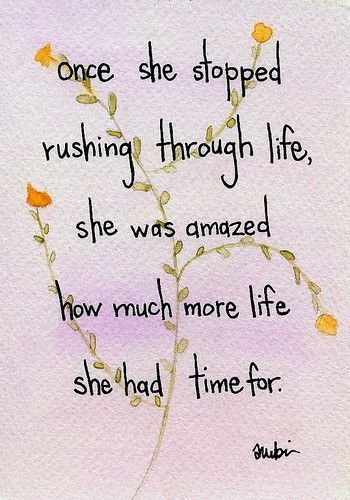 I have coined 2014 as the year of the ‘rush’ for me – a somewhat stressful full-time job, part-time university study, co-ordinating over 50 High Tea Honeys events and somewhere in there squeezing in football and Toastmasters. Naturally, time for those closest to you ends up too far down the priority list, as do the simple things such as sleep, exercise and eating a well-balanced diet. Fortunately for me, David has supported me without complaint but one evening over dinner he politely asked me if I was going to take it a bit easier this year and I agreed that I would. I finished up my sales job just before Christmas and am incredibly excited about starting in the consulting world next week. The five week break has been a blessing, it has done wonders for both my mental and physical health. I chose not to enrol to summer school, as tempting as it was to knock another uni paper off, and instead I have taken the opportunity to take a break from that feeling of always having something that I should be doing. Instead, I have focused my time and energy on the basics – daily exercise, nutritious meals and time with family and friends. I feel like a new person and I am determined not to slip into old habits. My focus is on adequate rest and executing my planning efforts. Practice meditation as daily as possible. I was recently introduced to an app called ‘1 Giant Mind’ (a by-product of actually having the time to contribute to online communities about things I am interested in). I absolutely love it. For someone who has always been curious about meditation and not that comfortable with the idea of sitting in a room full of strangers doing it for the first time, starting out proved to be a challenge. With 1 Giant Mind, I am learning to meditate in my own time and it’s perfect for me. I’m aiming for 30 minutes at the beginning of every day to calm my mind and prepare me for whatever the day throws at me. 8 hours sleep. This is non-negotiable, no matter how much work or study I have on, it can wait. On top of this, phone/tablet/computer – all off at least 30 minutes before bed. Get it done today and do it perfectly enough. Don’t put off until tomorrow what can be done today. Also, note the term ‘perfectly enough’, striving for perfection can be a barrier for me, if I don’t think I can do something perfectly, I will procrastinate about it for weeks. In the last year or two I have become better at this but still something I struggle with, especially when it comes to work and study. Be realistic about what I can fit in around the commitments I have made to myself. If ‘extra curricular’ activities are going to chew into the time I should be sleeping, meditating, exercising, preparing nutritious meals or spending time with my partner in a well planned out week then I have to say no. I have already started this week with the decision to hang up my football boots for the season and by setting a goal this year to only complete half of the uni papers I completed last year. I am treating the simple things with the same importance as I would a work meeting by scheduling non-negotiable time for myself. I am enjoying my new lifestyle and I am committed to keeping it up, even after I have started my new job. Wish me luck.